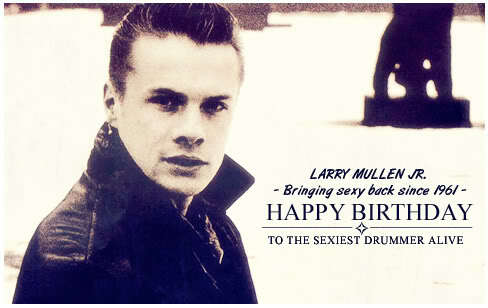 HAPPY BIRTHDAY. . Wallpaper and background images in the U2 club tagged: u2 larry mullen jr livejournal. This U2 photo might contain sign, poster, text, chalkboard, portrait, headshot, and closeup.